Deborah Stevenson is a Professor of Sociology and Urban Cultural Research in the Institute for Culture and Society. Her research focuses in particular on arts and cultural policy, cities and urban life, and place and identity and she has published widely on these topics including the recent books, The city (Polity), Cities of culture: a global perspective (Routledge) and Tourist cultures: identity, place and the traveller (co-authored, Sage). In addition, she is co-editor of the Research companion to planning and culture (Ashgate), Culture and the city: creativity, tourism, leisure (Routledge) and the forthcoming Companion to urban media (Routledge). She is also a member of the editorial boards of leading journals, including the International Journal of Cultural Policy. Her research programme has been supported by external funding from a range of sources, and she has been a chief investigator on eight successful Australian Research Council grants with her most recent projects being 'Recalibrating Culture: Production, Consumption, Policy', 'Australian Cultural Fields: National and Transnational Dynamics', and ‘UNESCO and the Making of Global Cultural Policy: Culture, Economy, Development’. Professor Stevenson has worked as an advisor and consultant to all levels of government and was a ministerial appointment to the Reference Group for the development of the NSW Arts and Cultural Policy Framework. 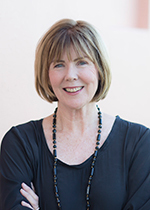 Deborah Stevenson has held a number of senior positions at Western Sydney University notably, Inaugural Dean of the Graduate Research School, Associate Pro Vice Chancellor Research, and Head of the School of Social Sciences. Stevenson, D 2017, Cities of culture: a global perspective (opens in a new window), Routledge, Milton Park, Oxon & New York. [First published in 2014; Chinese translation 2016, Shanghai University of Finance and Economics Press; Serbian translation 2016, Agora Publishing House]. Stevenson, D 2013, The city (opens in a new window), Polity, Cambridge & Malden. [Polish translation 2016, Czesci Proste]. Young, G & Stevenson, D (eds) 2013, The Ashgate research companion to planning and culture (opens in a new window), Ashgate, Aldershot. Stevenson, D & Matthews, A (eds) 2012, Culture and the city: creativity, tourism, leisure, Routledge, Milton Park, Oxon & New York. Wearing, S, Stevenson, D & Young, T 2010, Tourist cultures: identity, place and the traveller (opens in a new window), Sage, London & Thousand Oaks. Stevenson, D 2000, Art and organisation: making Australian cultural policy (opens in a new window), University of Queensland Press, St Lucia. Stevenson, D 1998, Agendas in place: urban and cultural planning for cities and regions, RESRC Central Queensland University Press, Rockhampton. Stevenson, D 2018, 'The Australian art field: fairs and markets', in D Rowe, G Turner & E Waterton (eds), Making culture: commercialisation, transnationalism, and the state of ‘nationing’ in contemporary Australia (opens in a new window), Routledge, London, pp. 40-50. Stevenson D, 2018, 'Feminism and its places: women, leisure and the night-time economy', in L Mansfield, J Caudwell, B Wheaton & B Watson (eds), The Palgrave handbook of feminism and sport, leisure and physical education (opens in a new window), Palgrave Macmillan, London, pp. 557-569. Stevenson, D 2015, 'Locating the local: culture, place and the citizen', in R Gibson, P Ashton & C Gibson (eds) By-roads and hidden treasures: mapping cultural assets in regional Australia, University of Western Australia Press, Perth. Stevenson, D 2013, 'Culture, planning and citizenship', in G Young & D Stevenson (eds), The Ashgate research companion to planning and culture, Ashgate, Aldershot, pp. 155-70. Stevenson, D & Matthews, A 2012, 'Situating leisure in the cultural economy', in D Stevenson and A Matthews (eds), Culture and the city: creativity, tourism, leisure, Routledge, Milton Park, Oxon & New York, pp. 85-97. Stevenson, D 2010, 'Urban culture', in R Hutchison (ed. ), Encyclopedia of urban studies (opens in a new window), Sage, Thousand Oaks, pp. 856-59. Stevenson, D 2006, 'The arts and entertainment: situating leisure in the creative economy', in C Rojek, S Shaw and AJ Veal (eds), A handbook of leisure studies (opens in a new window), Palgrave MacMillan, London, pp. 354-62. Rowe, D & Stevenson, D 2006, 'Sydney 2000: sociality and spatiality in global media events', in A Tomlinson & C Young (eds), National identity and global sports events: culture, politics, and spectacle in the Olympics and the football world cup (opens in a new window), SUNY Press, Albany, pp. 197-214. Stevenson, D 2004, 'Women, sport and globalisation', in D Rowe (ed. ), Critical readings: sport, culture and the media , Open University Press, Philadelphia & Maidenhead, pp. 276-95. Stevenson, D 2018, ‘The unfashionable cultural worker? Considering the demography and practice of artists in Greater Western Sydney’, The International Journal of Cultural Policy. Possamai-Inesedy, A, Rowe, D & Stevenson, D 2017, ‘Sociology in the 21st century: challenges old and new’, Journal of Sociology, vol. 53, no. 4, pp. 723–729. Stevenson, D & Magee, L 2017, 'Art and space: creative infrastructure and cultural capital in Sydney, Australia' (opens in a new window), Journal of Sociology, vol. 53, no. 4, pp. 839-861. Kenna, T, Goodman, R & Stevenson, D 2017, 'Privatising the suburbs: examining the trends and implications of 20 years of private residential development in Sydney, Australia' (opens in a new window), Geographical Research, DOI: 10.1111/1745-5871.12224. Kenna, T & Stevenson, D 2013, 'Experiences of "community" in a gated residential estate', Geographical Research, vol. 51, no. 4, pp. 412-23. Byles, J, Curryer, C, Leigh, L, Parkinson, L, Robinson, I, Stevenson, D et al. 2013, 'Transforming retirement: new definitions of life after work', Journal of Women and Aging, vol. 25, no. 1, pp. 24-44. Stevenson, D, Everingham, C & Robinson, P 2011, 'Choices and life chances: feminism and the politics of generational change' (opens in a new window), Social Politics: International Studies in Gender, State and Society, vol. 18, no. 1, pp. 125-45. Stevenson, D & Matthews, A 2010, 'Culture, policy and the city', Journal of Policy Research in Tourism, Leisure and Events, vol. 2, no. 3, pp. 197-98. Kenna, T & Stevenson, D 2010, 'Negotiating community title: residents' lived experiences of private governance arrangements in a master planned estate', Urban Policy and Research, vol. 28, no. 4, pp. 435-49. Stevenson, D, Dunn, K, Possamai, A & Piracha, A 2010, 'Religious belief across 'post-secular' Sydney: the multiple trends in (de)secularisation', Australian Geographer, vol. 41, no. 3, pp. 323-50. Stevenson, D, Rowe, D & McKay, K 2010, 'Convergence in British cultural policy: the social, the cultural, and the economic', Journal of Arts Management, Law, and Society, vol. 40, no. 4, pp. 248-65. Stevenson, D, McKay, K & Rowe, D 2010, 'Tracing British cultural policy domains: contexts, collaborations and constituencies', International Journal of Cultural Policy, vol. 16, no. 2, pp. 159-72. Stevenson, D 2010, 'Geoff Mulgan and Ken Worpole, Saturday Night or Sunday Morning? From arts to industry: new forms of cultural policy', International Journal of Cultural Policy, vol. 16, no. 1, pp. 82-83. Everingham, C, Stevenson, D & Warner-Smith, P 2007, '"Things are getting better all the time"? Challenging the narrative of women's progress from a generational perspective' (opens in a new window), Sociology, vol. 41, no. 3, pp. 419-37. Rowe, D, Markwell, K & Stevenson, D 2006, 'Exploring participants' experiences of the Gay Games: intersections of sport, gender and sexuality', International Journal of Media and Cultural Politics, vol. 2, no. 2, pp. 149-65. Stevenson, D 2005, 'Cultural planning in Australia: texts and contexts', Journal of Arts Management, Law and Society, vol. 35, no. 1, pp. 36-48. Stevenson, D, Rowe, D & Markwell, K 2005, 'Explorations in "event ecology": the case of the International Gay Games', Social Identities, vol. 11, no. 5, pp. 85-106. Markwell, K, Stevenson, D & Rowe, D 2004, 'Footsteps and memories: interpreting landscapes through thematic walking tours', International Journal of Heritage Studies, vol. 10, no. 5, pp. 457-73. Stevenson, D 2004, '"Civic gold" rush: cultural planning and the politics of the third way', International Journal of Cultural Policy, vol. 10, no. 1, pp. 119-31. Stevenson, D 2002, 'Women, sport and globalisation: competing discourses of sexuality and nation' (opens in a new window), Journal of Sport and Social Issues, vol. 26, no. 2, pp. 209-25. Stevenson, D & Paton, G 2001, 'Representing decline: the role of the arts in discourses of deindustrialisation', Media International Australia, no. 100, pp. 129-47. Stevenson, D 1999, 'Community views: women and the politics of neighbourhood in an Australian suburb', Journal of Sociology, vol. 35, no. 2, pp. 214-27. Stevenson, D 1999, 'Reflections of a "great port city": the case of Newcastle, Australia', Environment and Planning D: Society and Space, vol. 17, no. 1, pp. 105-19. Stevenson, D 1997, 'Olympic arts: Sydney 2000 and the cultural Olympiad' (opens in a new window), International Review for the Sociology of Sport, vol. 32, no. 3, pp. 227-38. Professor Stevenson discusses the challenges and opportunities for contemporary feminism.